While Prescott was founded in 1864 as Arizona’s territorial capital, it would take 15 years before the Star Line Mail & Transportation Company would deliver passengers from Prescott to its territorial neighbor’s capital city, Santa Fe. Leaving via Gurley Street, the short-lived Star Line delivered passengers across a rugged series of roads in four days. I’ve solved one Old West mystery. You want to know why the Star Line Transportation Company, a k a the Prescott-Santa Fe stage line, only lasted from 1876 to 1882? It’s because no one could find the stagecoach stations. I’m on a roadside pullout off Arizona Highway 179 just east of Sedona looking for the historical marker the Sedona Westerners erected in the early 1970s. It’s only 450 feet from the parking lot, but it’s 30 minutes before I finally find the marker. Okay, so I’m not Bill Williams or an Apache scout. Today, Beaver Head’s also the only marker about the stagecoach line on the actual route. The Prescott-Santa Fe line was “a lesser-known stage route,” New Mexico historian Marc Simmons says. When in Prescott, visitors should start at Sharlot Hall Museum (above), one of the state’s leading living history centers. 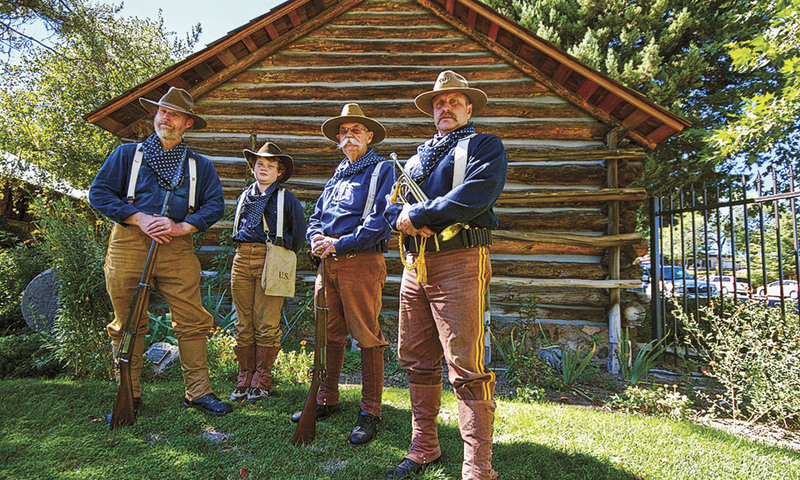 Docents in period dress, including these frontier Army re-enactors on Western Heritage Day, greet guests touring the museum’s grounds, which include the Territorial Governor’s Mansion. And before the Earps and Doc Holliday made it to Tombstone, they spent a little time in Prescott. 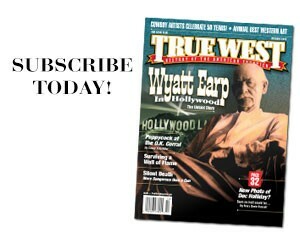 Sure, Virgil Earp left a family wagon train bound for California, and we might not know for sure if Wyatt Earp and Doc Holliday took a stage, but they definitely traveled down this road. My trip starts at Prescott’s Sharlot Hall Museum—established by Sharlot M. Hall in 1928 as the Old Governor’s Mansion Museum which preserves Yavapai County’s history and folklore and has a great research facility—because elsewhere there’s not much documented about this stagecoach line. In fact, most of the facts you’re about to read come from the museum’s archives. Later lines would connect Flagstaff. Other routes might change according to the railroad’s progress. And routes existed before the Star Line. A letter from P.I. Harlow in Santa Fe, published in Prescott’s Weekly Arizona Miner on December 12, 1873, notes Harlow’s plans to bring three coaches and wagons to Prescott, where he “will take passengers through at low rates.” By 1875, the Santa Fe and Prescott Semi-Weekly Mail Line was running buckboards “Every Wednesday and Saturday Morning,” a Miner ad declared, carrying the mail, and, for $75, passengers on a 7½-day trip. 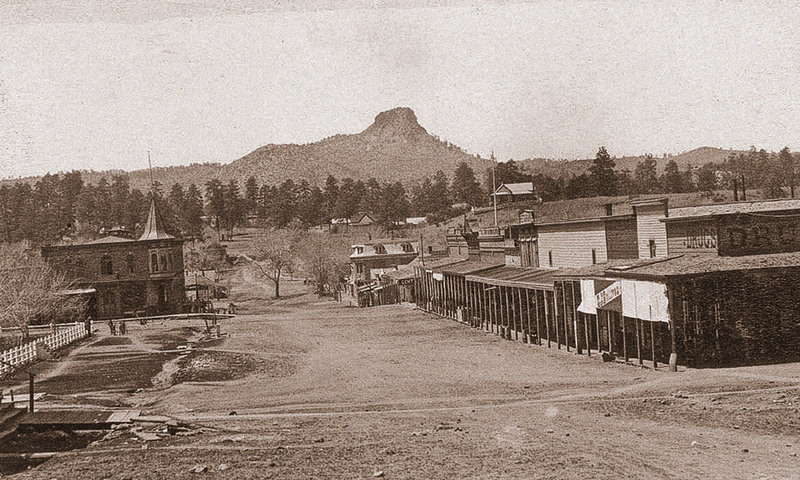 Whiskey Row, where Holliday and the Earps gambled, remains a popular drinking and dining spot in Prescott today. You’ll likely recognize The Palace Restaurant and Saloon from Sam Peckinpah’s 1972 masterpiece Junior Bonner (original screenplay by True West contributor Jeb Rosebrook). And two other nearby museums—the Smoki and the Phippen—are worth checking out. The Star Line stage coach service between Prescott and Santa Fe lasted just a few years before it was usurped by the Atlantic and Pacific Railway line. Passengers going to Prescott from Santa Fe on the train disembarked in Flagstaff and boarded a stage (similar to this mud wagon) west and south to Prescott via stops at Parkers, Pittman, Williams, Simms, Hell Canyon and Chino. At least one robbery took place on the stage line, though details are sketchy. 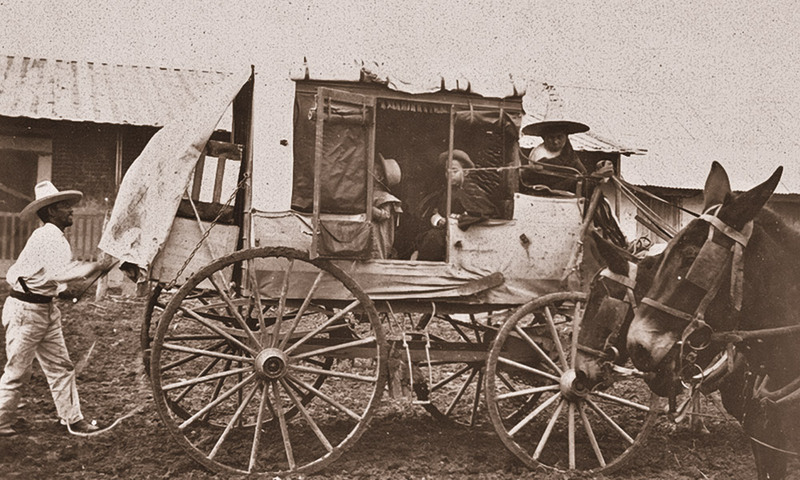 In 1879, four robbers hit the coach before it arrived at Fort Verde. Driver Mose Stacey told the posse that three “coin boxes” were stolen and one passenger and a stationmaster were killed. The 20-man posse eventually surrounded the robbers at Pine Tree Station, which was burned, and all of the outlaws were shot dead. One posse member was killed. As far as we know, the money—estimated at $75,000—was never recovered, and a lot of people have looked for it. The Star Line started, or ended, in Prescott, carrying mail and passengers to Camp Verde (check out Fort Verde State Park) and Beaver Head stations. And since the Beaver Head marker is just 11 miles from Sedona, you might as well go there for picturesque scenery, awesome red rocks used in plenty of movies and great art. 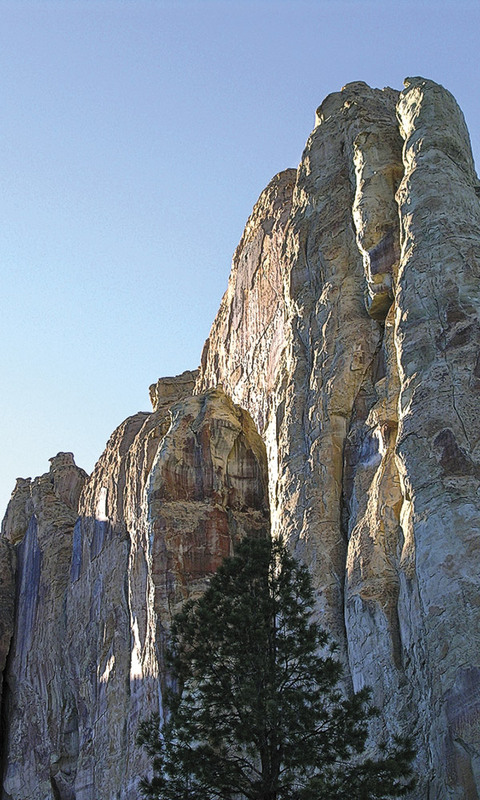 El Morro National Monument in New Mexico is a key stop when following the Star Line Stage route. The main road followed a centuries-old trail past the sandstone bluff, where travelers welcomed shade and a dependable waterhole. Otero, by the way, would have been the railroad terminus for the Atchison, Topeka and Santa Fe in 1879. If you want to follow the old path from the Beaver Head marker, backtrack to I-17 and drive north to Stoneman Lake Road (exit 306). From there, it’s on to Lake Mary Road; right on Lake Mary Road toward Happy Jack to Arizona Highway 87; and then on to Winslow. 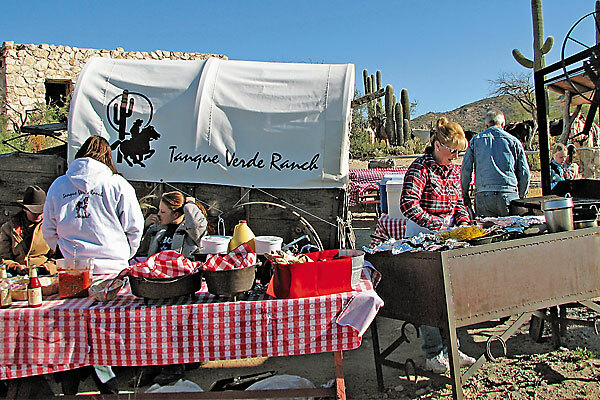 If you’re less adventurous, head back to Camp Verde and take Highway 206 to 87. 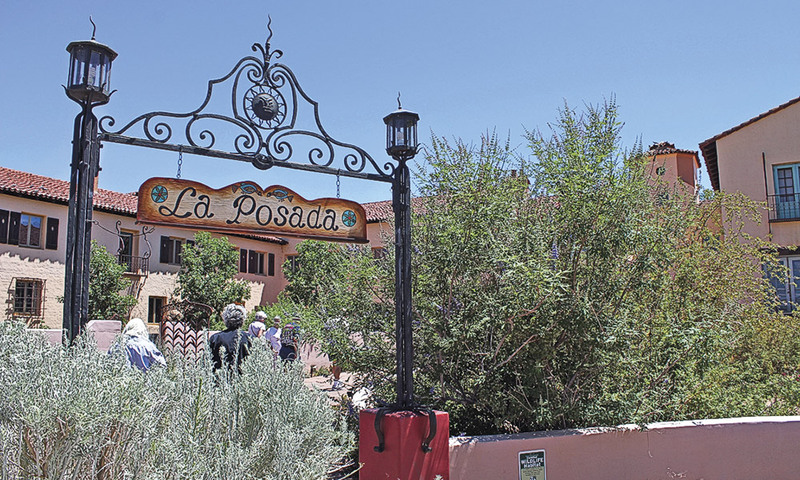 The Prescott-Santa Fe stage route ends at the Santa Fe Plaza, where the La Fonda Hotel has welcomed travelers to relax in the historic district for over a century. 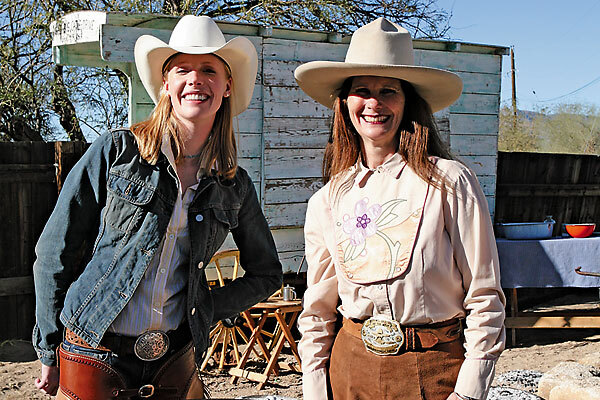 You can stand on a corner in Winslow and stay at the historic La Posada Hotel and even find great Italian food, and visit the Navajo County Historical Museum in Holbrook. There’s not much to see at Fort Wingate these days, but Gallup’s trading posts are fun to visit; the El Rancho Hotel was once a movie-star hangout (you might recall Red Rock Park’s vistas from Westerns like Colorado Territory and Pursued); and the Zuni Pueblo welcomes tourists as long as they don’t bring up Tony Hillerman (Dance Hall of the Dead remains a sore subject with the tribal council). According to Simmons, the route left Wingate and went to the Puerco Basin, with a stagecoach station in the ghost town Cabezon (where Peter Fonda filmed his wonderful 1971 Western The Hired Hand). The stories might be fun, but the drive is long and remote till reaching the Jemez Mountains. Simmons says the route crossed the Rio Grande at Peña Blanca and wound up at the Santa Fe Plaza. 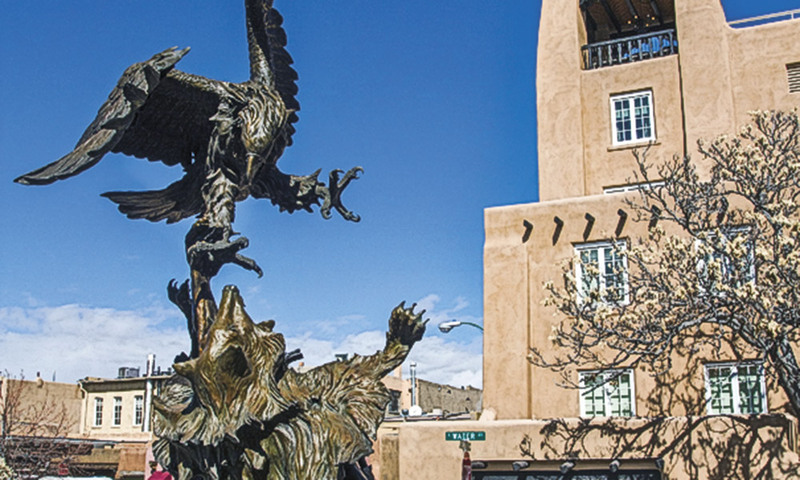 While in Santa Fe, visit the New Mexico History Museum and Palace of the Governors before getting your fill of Spanish culture, all types of art and great food. The Star Line folded in 1882, perhaps because of a fraud case that went to court. Or maybe because nobody could find the blasted stagecoach stations. Johnny D. Boggs likes stagecoach movies, but not the two remakes of 1939’s Stagecoach so much. 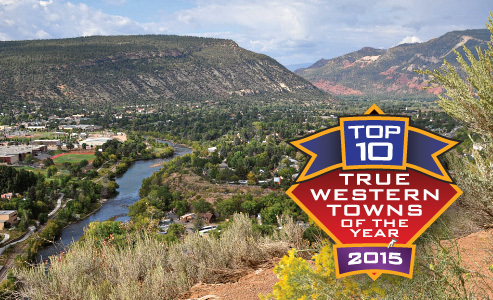 Top 10 True Western Towns of 2015 We honor Western towns actively keeping alive their Old West heritage. Cooking on the Trail Yes, it's worth carrying a Dutch oven in your saddlebag.